When a knife is sharp it has tiny microscopic teeth along the cutting edge. With use, these teeth and the edge become smoother and the blade gets dull. To keep a knife blade in good condition, first you must sharpen and then shape the edge. Sharpening consists of removing a small amount of metal from the edge to leave a polished, even surface. Shaping "redraws" those tiny teeth on the cutting edge so it recovers its long-lasting cutting capacity. Place the sharpener on a firm, flat surface with the X-shaped steel inserts facing you and hold it firmly with one hand. For very dull knives, place the blade between the inserts with the tip angled downward. Draw the knife through from handle to tip with light downward pressure. Repeat this action until the knife is sharp. For fine sharpening, place the blade between the inserts with the tip angled upward. Draw the knife through from handle to tip with light downward pressure. Repeat this action until the knife is sharp. For serrated blades, draw the knife through in the same way as above but with lateral pressure in the direction of the serrations. 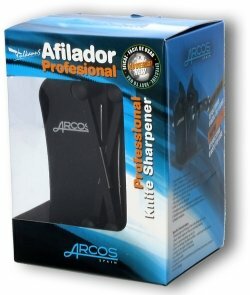 The sharpener comes in a plastic-covered cardboard box (see photo). Standard Shipping £11.24 To be delivered between on Monday, April 29 and on Tuesday, April 30. Super Express shipping £50.51 To be delivered between tomorrow Thursday, April 25 and on Friday, April 26. 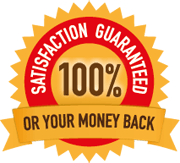 This product arrived in excellent condition.The Company were very efficient. The Sharpner is an excellent tool,the best we have tried and we have tried lots of Different Sharpners,I higly recommend this Sharpner and the Company worth ever penny as the old saying goes you get what you pay, and this will last my lifetime.